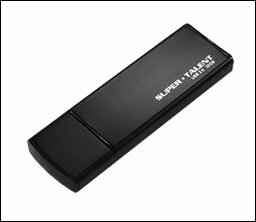 Super Talent is one of the leading memory and storage device companies in the global market today and has released their latest USB Flash Drive called the “Express Drive USB 3.0.” The Express Drive is just one of the USB 3.0 drives that Super Talent has just recently released to the market. TechwareLabs was handed the Express Drive while attending Computex 2010 and was presented with a demo of what it can do and we were very impressed. So let see what this 32GB thumb drive can do!